Mawlana Shaykh is teaching us to understand the importance today of being connected and the oceans of guidance, the reality of the guide and the importance in these days, that from one understanding, for people who want to understand how that took place and the importance of those who passed away and their influence upon the living was from the story of Isra wal Mi’raj of Sayyiduna Muhammad (sallallahu alaihi wasallam). When our salaah and our prayers are a gift from the interaction of Sayyiduna Muhammad (sallallahu alaihi wasallam) and Nabi Musa (alaihis salaam), that Allah ‘Azza wa Jal had ordered Prophet (sallallahu alaihi wasallam) to pray fifty prayers, and on the Mi’raj into the Divinely Presence, Sayyidina Muhammad (sallallahu alaihi wasallam) had a dialogue with Nabi Musa (alaihis salaam). And through that dialogue, the interaction was, “These salah (prayer) is too many for your nation. Reduce it, reduce it,” until our five salah (prayer) that we have now. These are from the understandings of malakut, of the ruhani and heavenly dimension, the atomic reality that controls the physical realm as well. You cannot have the physical without the internal functioning. Malakut and the atomic reality controls the external understanding and the external world that we see. As a result, most people, their lives are like a, on a rock, and you have a flower. 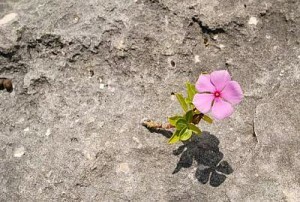 This flower, if it grows on a rock, it may have a nice appearance and may have many different characteristics but the minute a difficulty comes, the minute a wind comes, rain comes, a storm comes, that flower is gone, because its roots are on a rock and they are not going into the ground. Means it has barely any roots, no reality. It looks nice, it has an appearance, people may be mesmerized by the appearance but in these days of difficulty, what they want us from just one of its understandings, is that guidance is rooted. It has their deep roots in the realm of the malakut. The dimension that you are seeing of, its physicality means that it’s very much connected. So we have people who only try to develop themselves and develop their exterior, and that Allah ‘Azza wa Jal described, Prophet (sallallahu alaihi wasallam) described, “These are like flower on a rock,” that the minute a storm comes, the minute a rain comes, it will be washed away. What is it going to cling to? Because it only focused on itself, and on focused only the ability of itself. 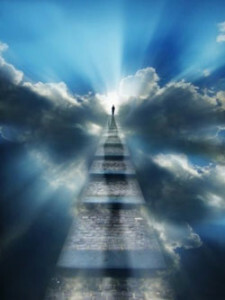 When they come and they teach us from the realms of guidance, that the real guides, they are connecting us to our spiritual realm, that in the spiritual realm, it is very much alive. And there are awliya Allah in the world of light, and they have been authorized in the world of light for guidance. The reality of guidance is to bring you under the tarbiyah and under the discipline, to connect you with your spiritual guidance. Means they want to cook you inside and out. If somebody is working on you from the realm of reality, from the world of light, it means they are preparing you and building your soul. There is a majlis in this world of light. There is a diwan in the world of lights. It means that when Allah ‘Azza wa Jal guides us. It’s a tremendous ni’mat, it’s a tremendous blessing, that the that Allah ‘Azza wa Jal guides us to the people and to the way of the malakut, of the heavenly realm. 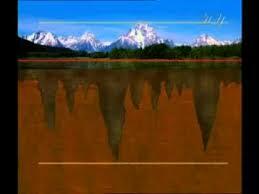 They have a physical appearance and they are physical representatives of a spiritual world. They are not physical representatives of a physical world. It means that the whole process of mawt qablal mawt (Death before death), through all of their seclusions and all of their trainings, they reached a station of death. When they go into their seclusions and their trainings, they reach such difficulties and such states, that they didn’t want to live anymore, that they were happy with what they experienced of the Divinely Presence. They’re happy in the company of their Lord and they achieve what Allah ‘Azza wa Jal wanted them to achieve. And at that point Allah ‘Azza wa Jal offered for them that, “Would you like to leave this dunya?” ‘Cause your state of death, you’re able to leave that body and you reached that point of death, you are gone. But Prophet (sallallahu alaihi wasallam) comes and inspires within the heart. If you know these people in their tarbiyah and when they were being raised, they don’t go anywhere. They sit at home day after day, year after year. They have very little desire for anything. They sit at home and they come to zikr. They sit at home, they come to zikr, or they travel the world with the same objective of teaching how to connect to Prophet (sallallahu alaihi wasallam) and how to return to Allah ‘Azza wa Jal. Means their entire desires died, that by the time they went into multiple seclusions they were offered, that the stage in which you are reaching, your body, your soul is free from your body. If Allah calls it right now, you will take the state of death and they come, they get you and they bury you. But from Prophet (sallallahu alaihi wasallam), the reality that comes and the request that comes, that a higher darajat (station) for you is if you put yourself to be in service. That to die, and Allah ‘Azza wa Jal happy with you. That you are mutahirun, you are the People of Purity and Allah ‘Azza wa Jal is happy with you. But if you want Allah ‘Azza wa Jal to be even happier with you and higher darajats, then be of service to Allah ‘Azza wa Jal. Live a life of service means exist within this dunya to serve Allah ‘Azza wa Jal and serve Sayyiduna Muhammad (sallallahu alaihi wasallam). That is the bargain and the contract, the ahd عهد, the covenant in which Allah ‘Azza wa Jal describing that, “They reached their covenant.” And Allah ‘Azza wa Jal took from them their dunya and gave them their aakhirah. Means in this dunya (material world) they operate with their aakhirah (hereafter) reality. They have flipped the contract. They have flipped the terms, that you are governed by your body and it has entrapped your soul. When Allah ‘Azza wa Jal opens the reality of that ayah from Suratul Tauba, that, “We took from them their dunya and We gave them in exchange aakhirah and it is the best of bargains to make,” and then the rest of the ayah has to do with the bayah that they took, they have completed their bayat. They completed their covenant and Allah ‘Azza wa Jal flips their contract, that if now you exist on this earth, you are going to exist with your soul’s reality. And your body will be inside your soul, that, in their darajats. These awliya Allah, they have darajats (stations) that are unimaginable in how much power their body has been given. How much control over these realities they have been given. But this is the ocean of guidance. That the oceans of guidance that these guides come to bring us under tarbiyah, to bring us under discipline, to bring us under the zikr, to bring us under all these controls. It’s a huge covenant. 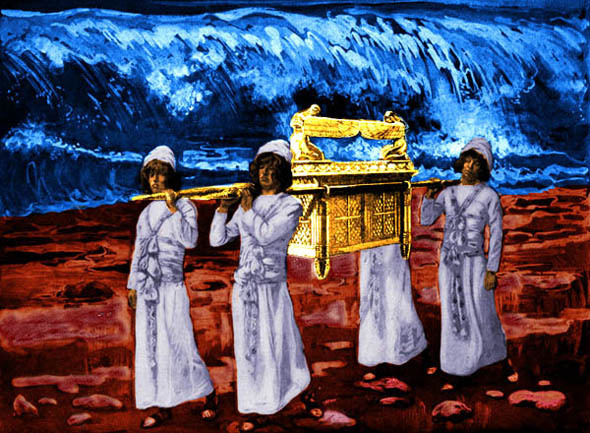 That in the time of Nabi Musa (Moses) (alaihis salaam), the covenant was an ark. 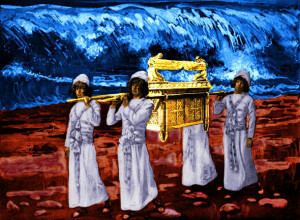 You had to carry the box with four malaa’ikah (angels), because Nabi Musa is the imitation. When Sayyiduna Muhammad (sallallahu alaihi wasallam) comes, it is the real covenant of Allah ‘Azza wa Jal. The real covenant of Allah ‘Azza wa Jal is qalb al mu’min (Heart of the Believer). The four angels are on the four lata’if (of the heart). They are carrying the covenant of Allah ‘Azza wa Jal upon the believing heart. That by the arrival of Prophet (sallallahu alaihi wasallam), the covenant and the reality of the covenant went from an imitated box into the qalb al-mu’min baytullah. And that is the contract and the covenant with Allah ‘Azza wa Jal. If they open that covenant, the malaa’ikah, they are in front of you and behind you, they are guarding your soul. They’re guarding your soul from Sayyiduna Jibra’il, Sayyiduna Mika’il, Sayyiduna Isra’il, Sayyiduna Israfeel. Wa Sayyiduna Malik, is the guard over all of them, to make sure that nothing happens to your paradise reality. Sayyiduna Mika’il (Mikael) in charge of whatever sustenance and the protection and fighting for your soul. Sayyiduna Mika’il (alaihis salaam) is for battle, but for sustenance. 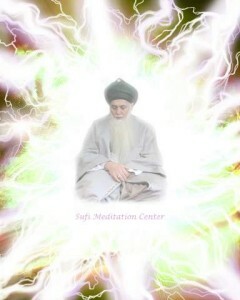 Sayyiduna Israfeel, teaches how to resurrect your soul. Means that they teach your being that how to constantly die and to move into Divinely Presence and Sayyiduna Israfeel to raise you into that reality. Means that the covenant upon their reality, they reach the covenant of Allah ‘Azza wa Jal, and again in their darajats. More and more, the higher (the station of) that wali, the higher their covenant and the higher in which Allah ‘Azza wa Jal has dressed them. But means they guide you not only the material world. They are the connectors in which they take you and plug you into your spiritual reality. The spiritual association of the shaykhs, they are dressing your soul in Divinely Presence. 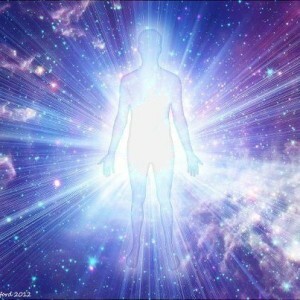 They are blessing your soul in Divinely Presence and making the connection into your physical being. If you look at a human just for us to get the visual, it’s like a human being standing this way, and you make a wall and you see the human being. Most human beings, their feet not connected to anything so they slide down the wall. This understanding, when they are supported means their feet are being held. Their roots are connected, go deep into the association of awliya Allah. When a soul that is connected, it sits with them, it learns with them, it dressed from them; and imagine the association of awliya Allah, that their association, they are with nabi’een, siddiqeen, shuhadaa; and they are the saaliheen. Means they’re dressed from these presence, they’re dressed from Allah ‘Azza wa Jal’s Divinely Lights, and they constantly sending an energy so that being is completely connected, connected from the deep roots into the Divinely Presence, all the way to what you’re seeing of a manifestation, it’s connected. And Maulana Shaykh describes, like an evergreen; they’re always green. And Allah ‘Azza wa Jal described them like awtaad, a character of certain awliya Allah, they are like the awtaad. They are like mountains, pegs, that the shaking of this earth, it shakes but because of their reality, wherever Allah ‘Azza wa Jal plants them, the earth stops shaking. They are an awtaad means they are, they are anchors onto this earth. Why? Because their roots are going deep. What Is The Reality of Bayat? That is the reality of the bayat, that as soon as you’re reciting the bayat, they take that light like a lightning. You begin to see a lightning going back into the presence of Sayyiduna Muhammad (sallallahu alaihi wasallam). And from every direction, all these lightnings are connected to the soul and to the reality of Prophet (sallallahu alaihi wasallam). And that light and that soul and that covenant, it goes back to Allah ‘Azza wa Jal because that is the accomplishment of the covenant, that our covenant was with Allah ‘Azza wa Jal, that we would accept these realities, we would follow these realities, we would be dressed by these realities. That is the reality of guidance. That is not something you can do by yourself. Thousand years you sit, you cannot make your connection into that barzakh. 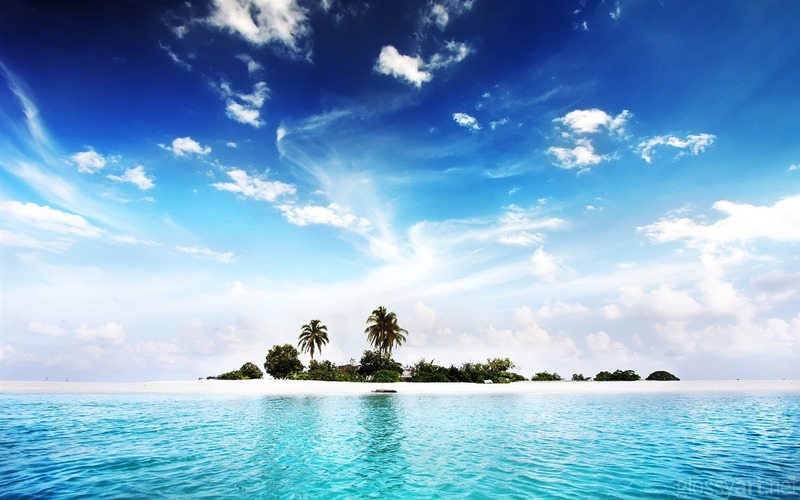 So, another way they describe it is: you are on this land, there’s an ocean and there’s another island. There’s no way that you think you can connect yourself to that island. So there are many people following the Qadiri tariqas and they say that, “We are connected Shaykh Abd al-Qadir Jilani (…).” If you don’t have a living shaykh, there’s no way to connect to barzakh. The importance because it’s the sunnat ul-Nabawi, it’s the sunnat of Muhammad (sallallahu alaihi wasallam) to follow. If it was not the sunnah and the shari’a of Sayyiduna Muhammad (sallallahu alaihi wasallam), then what was the need of the Sahabi to follow Prophet (sallallahu alaihi wasallam). It means ihtiba – to follow the living guides, they are the connectors to the barzakh reality. If everybody could connect to the barzakh reality, then what would be the purpose of the living guides and what would be the way and the following of Sayyiduna Muhammad (sallallahu alaihi wasallam)? Means everything they do, it is an imitation in Prophet (sallallahu alaihi wasallam). As the Companions followed Prophet (sallallahu alaihi wasallam), then the students they followed the shaykhs, and the shaykhs follow Muhammad (sallallahu alaihi wasallam). And this is the living chain and how the chain reaches to us, that there must be an, always a living authorized guides. Those living authorized guides, they connect us. They dress us, prepare us, they constantly make the connection, constantly make the connection so that that reality begins to dress us. Through their teachings of tafakkur, they begin to teach you, that you want to make the connection, you have to contemplate. 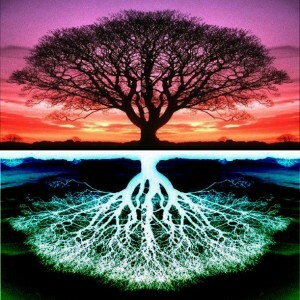 You have to close yourself to the physical world and go deep within your reality to begin to feel that contemplation. From that they begin to open your heart. They begin to open from your haqqa’iqs of the heart, where fa’iz, you begin to feel the fa’iz and the emanation of that realm. You begin to hear, you begin to feel the tawassul and tawajjul. Means the means in which you are connecting with that light, the means in which that light and the Holy Face emanate and begin to dress upon us, the realities of the heart begin to open from all of those practices. 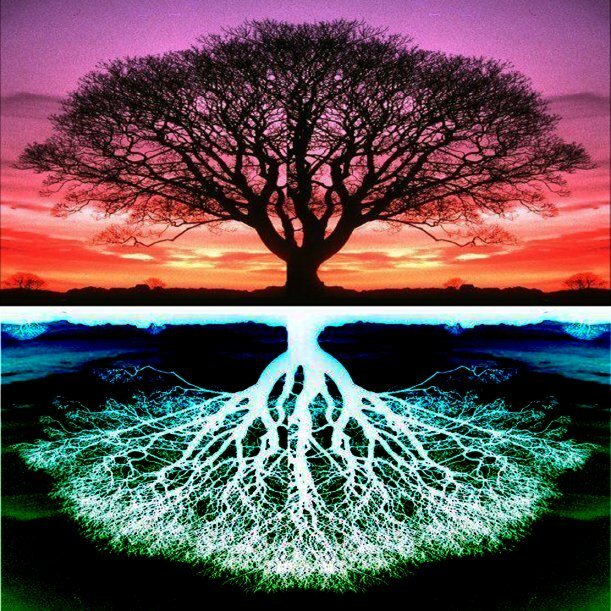 Then they become connected souls, souls that are connected to the Divinely Presence and the roots are deep within that reality. That is what we need in the days of difficulty, ‘cause now they are opening something onto this earth that bringing from the bad and from the hidden realms, bringing into this dunya. 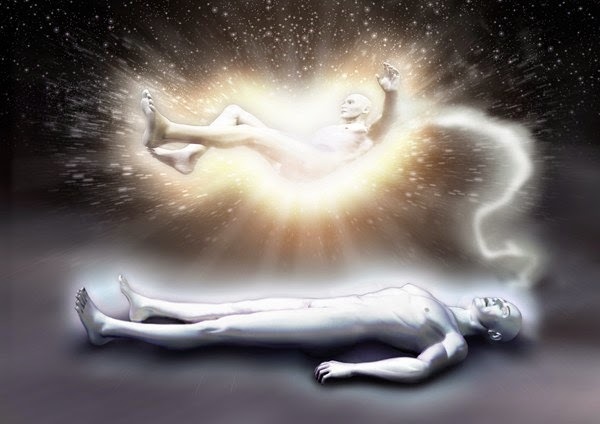 If they bring these energies into this dunya, they say even a mustard seed of reality the person has, they will experience it. Means if they have bad within their heart, that bad begins to multiply. If they have bad characteristics in their being, that badness begins to multiply. And that’s the reality of Suratul Falaq. When Allah ‘Azza wa Jal teaching us, “Qul a’oothu bi rabbil falaq,” means to seek refuge in this extreme darkness that Allah ‘Azza wa Jal has created, that, that darkness, if it begins to enter into this dunya, that people are not going to be safe. People are not going to be able to protect themselves. And the only way to protect ourselves and to be safe is to be connected into that reality, where our feet are connected into our souls’ reality, that we are connected and routed beings. Deep within the heavens dressing us and what you see manifesting on dunya, it is something very connected. That’s what they want for us, this is what Sayyiduna Muhammad (sallallahu alaihi wasallam) wants for us, that we pray that in these days, that in the holy month of Sha’baan, in Laylatul Baraat, that opening up InshaAllah Saturday, Sunday, Monday, then Tuesday, that we be dressed by these lights, blessed by these lights, understand these oceans of light, that the soul be dressed by them, and that we go deeper into that reality, and that becomes the opening of the holy Ramadan and Laylatul Qadr. Birahmati Muhammadi Mustapha wa bi sirri-Suratul Fatiha. Copyright © 2015 Naqshbandi Islamic Center of Vancouver, All Rights Reserved.